Many people who continue to experience allergy symptoms throughout the calendar year are in fact suffering from an allergic reaction to mold and mildew. By breathing in airborne mold or mildew spores, allergy sufferers can experience discomfort often associated with pet dander or dust allergies. Because a mold spore is often undetectable, Rocky Mountain Air® has created the Summit air purifier to protect your family against the unseen dangers mold and mildew can present. By utilizing seven (7) stages of air purification, our home air cleaner will kill mold and remove mildew from the air you breathe! By combining HEPA certified filtration with advanced Ultraviolet (UV) sterilization, the Summit is the ultimate anti-mold purification system. Perfect for killing mold in up to 3,500 square feet of your home, each unit will help mitigate the risks of dangerous mold exposure by stopping the spread of mold in your home. Your family can rest easy knowing our best-in-class air purifier for mold is providing fresh and clean air to your entire home. 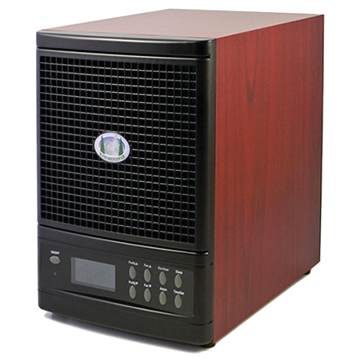 The Summit air purifier for mold eliminates dangerous mold and mildew spores that cause many people to suffer from allergy like symptoms year round. With seven powerful stages of filtration, our air purifiers erradicate mold and sterilize the air you breathe so the air in your home stays Rocky Mountain fresh!